SANTA MONICA, Calif. (KABC) -- Swarms of people were expected to flock to Santa Monica for a "Hidden Cash" scavenger hunt on Sunday. 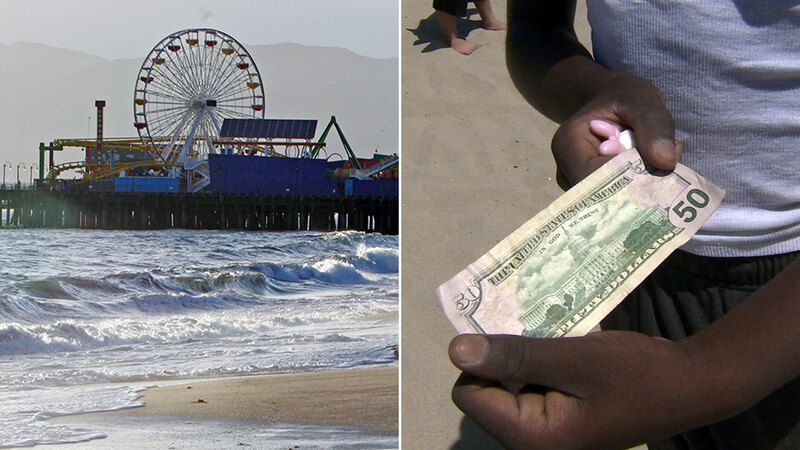 According to the HiddenmoneyLA Twitter account, $1,000 was hidden near the Santa Monica Pier. The scavenger hunt was set to begin at noon. To join, scavenger hunters had to download the Metaverse app. The app's maker, a tech company that appeared to be behind the event, said the amount of cash could increase depending on the number of people who signed up for the hunt. The hunt was a reprise of the "Hidden Cash" craze from two years ago started by San Francisco real estate investor Jason Buzi. "Hidden Crash" hunts have taken place in Hermosa Beach, Burbank, Lincoln Park, Riverside, Pasadena, San Marino and several other locations across Southern California. The latest scavenger hunt appeared to be the work of somebody new, as the Facebook event was hosted by somebody named Francis Hawke. More than 1,700 people said they intended to attend the scavenger hunt on the event's Facebook page.